News - Phase IV Engineering Inc.
At the International Workshop on Structural Health Monitoring (IWSHM) conference at Stanford University in September of 2017, Phase IV Won the prestigious "The Most Practical Structural Health Monitoring Solution for Civil / Mechanical Systems Award". 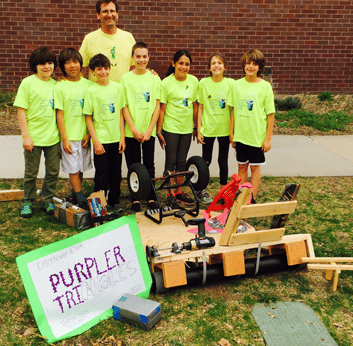 For the second year, Phase IV Engineering is a corporate sponsor for Colorado Destination Imagination. 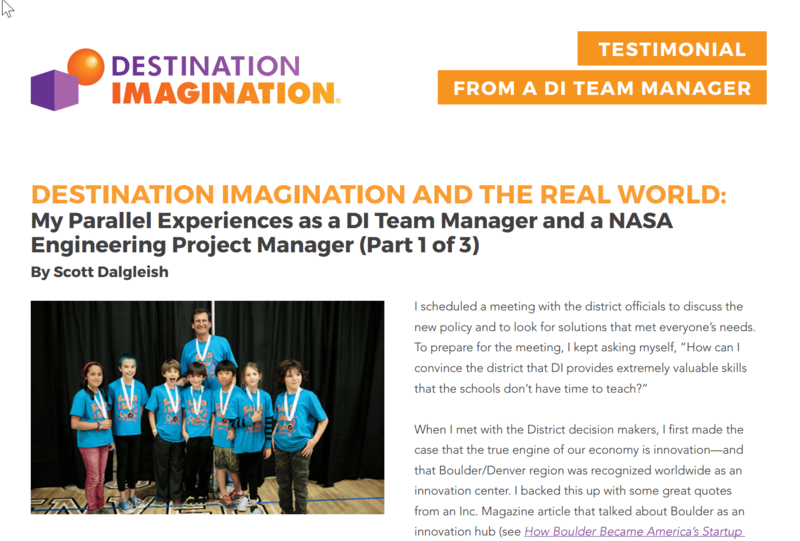 Phase IV was also recently featured in a “Team Manager Testimonial” that explains the incredible value Destination Imagination’s programming in the “innovation world”. Falcon Jet recently released a beautiful video of its new luxurious 8X private jet. The video features Phase IV Sensors that are used for extensive cabin comfort quality assurance. Take a look at this beautiful 2-minute Video from Dassault of the 8X jet. The Phase IV WSN sensors are shown at the 1:07 mark in the video. Click on “Read More” to see the video. Sensors Magazine just announced that the Phase IV RFID Sensor Reader is a finalist for Most Innovative Sensor Product 2016. The winner will be announced at the upcoming Sensors Expo on June 22, 2016. 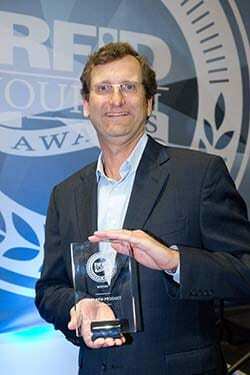 The RFID Sensor Reader won Product of the Year last month at the annual RFID Journal Live trade show. 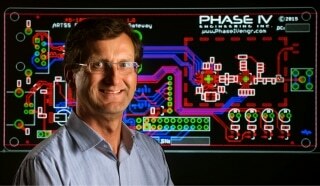 Company Week Magazine ran a good profile story on Phase IV Engineering. The article discusses how we are pursuing opportunities in the high-growth wireless sensor industry. Phase IV is a sponsor and supporter of Destination Imagination – a global organization that teaches valuable skills in the area of: project management, innovation skills, teamwork, and technical skills. See an interview with Phase IV’s CEO, Scott Dalgleish, about his involvement with Destination Imagination to teach kids critical project management skills in the Project Management Institute’s Education Foundation newsletter, PM Philanthropist. Educators praise project-based learning for giving youth valuable skills in day-to-day life, as well as the career skills they need for success in tomorrow’s economy. Phase IV Engineering was honored at the RFID Journal Live trade show by winning Best New Product for its RFID Sensor Reader. This reader is optimized to read RFID Sensors and has many patent-pending features to make integration of this reader with industrial machines fast and easy. 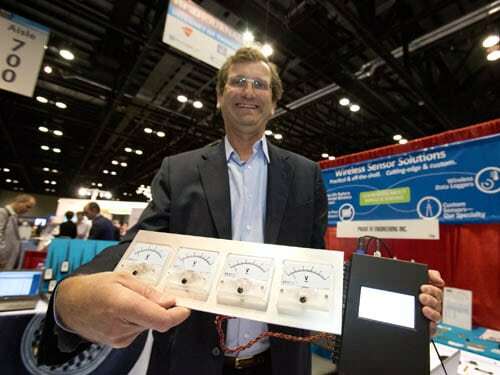 In addition, Phase IV’s client, Reichhold, won Most Innovative Use of RFID with the Micro-T data logger. See the RFID Journal 2016 Awards Press Release. Phase IV Engineering is proud to announce that we were honored twice by the RFID Journal in 2016. Phase IV’s Innovative Patent-Pending RFID Sensor Reader that is optimized for reading sensors and interfacing with a wide variety of machine and cloud interfaces. 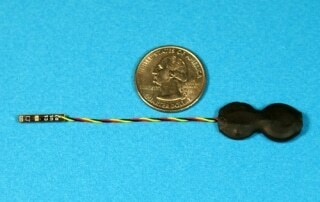 The article below highlights Phase IV’s work with deploying the ultra-thin RFID temperature data logger. The RFID Journal also nominated the Micro-T Data Logger “Most Innovative Use of RFID” in 2016. Read the article below for details on how Reichhold helps a fiberglass pipe manufacturer improve production, saving time and money. Reichhold worked with Phase IV Engineering to develop a solution that can pinpoint exactly when the snap cure of the resin occurs—as indicated by a temperature rise in the composites being cured. Phase IV’s RFID-enabled Micro-T Data Logger captures the temperature of pipes as they cure in the customer’s ovens. With that information, production managers can choose to either shut down portions of the oven farther down the line from where the resin curing takes place, in order to save energy, or speed up the line to use the full length of the oven in less time. 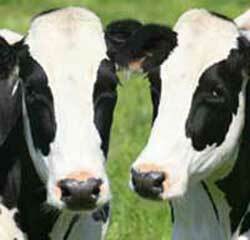 Betts and his team are working with the customer to fine-tune the manufacturing process. “For the first time ever, the Micro-T has enabled the engineers that are trying to dial in these fiberglass processes to get very, very accurate temperature readings of the fiberglass assembly while it’s curing,” says Scott Dalgleish, Phase IV Engineering’s CEO. That enables the pipe manufacturer to save time and energy during the production process. Resin Supplier Uses RFID to Perfect the Curing Process – RFID Journal, February 28th, 2016.